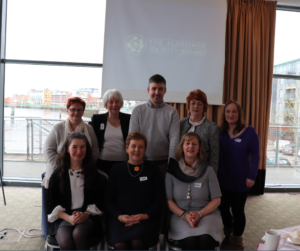 The Alzheimer Society of Ireland (ASI) has launched the regional group of its carer advocacy network, the Dementia Carers Campaign Network (DCCN), in Munster with the first meeting taking place in Limerick city. It aims to be a voice of and for dementia carers in Ireland and to raise awareness of issues affecting families living with dementia. The group is supported and facilitated by the ASI. The first meeting of the Southern DCCN took place at the Clayton Hotel in Limerick city on Friday, March 23rd and was attended by current and new members of the DCCN. This group is open to anyone who is interested in advocacy and has experience caring for a friend or family member with dementia. There are 500,000 people across Ireland whose families have been affected by dementia. In order to adequately reflect the experiences of dementia carers in Munster, the ASI has established the Southern DCCN which will focus on highlighting the issues affecting dementia carers in the region.